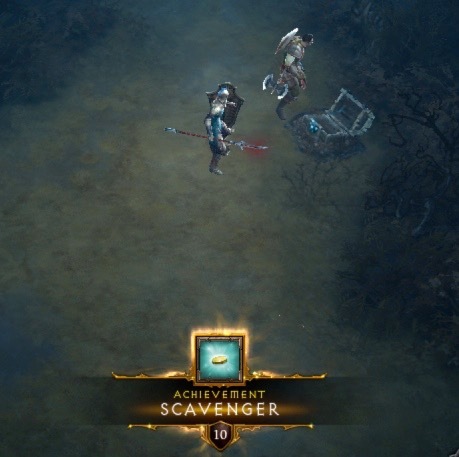 I have been blogging about my experience in the Diablo III: Reaper of Souls beta (mostly for my own amusement). The beta is now over. I was playing a female Crusader who I named Joan. In the previous blog, Joan had hit Level 13, defeated the Skeleton King, and was working her way towards Level 14. All of the screenshots in this blog were taken on December 20, 2013. At the start of this blog, Joan the Crusader was about one bar away from being halfway to Level 14. She and Kormac the Templar defeated the Skeleton King, and moved on to the next part. 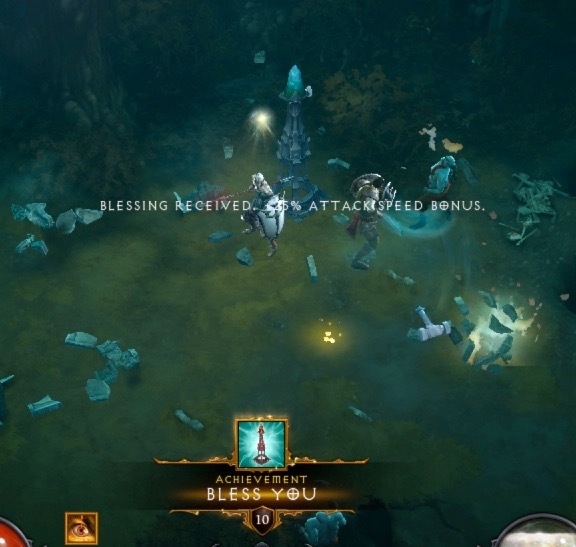 The original Diablo III beta ended after the battle with the Skeleton King. So, it felt really weird for me to be moving on beyond that part in the Reaper of Souls (RoS) beta. This is the part of the game where players discover that the “Fallen Star” is a man. He is called “The Stranger” and he cannot remember who he is. He does, however, remember falling. It turns out that the Crusaders have a snarky sense of humor. The Stranger: I am… I-I was…. I remember falling. The Crusader: Through several floors at least. Chasing (and killing) a Treasure Pygmy in The Weeping Hollow led to a chest. Opening it resulted in an Achievement! Tagging the shrine in the Graveyard resulted in another Achievement. 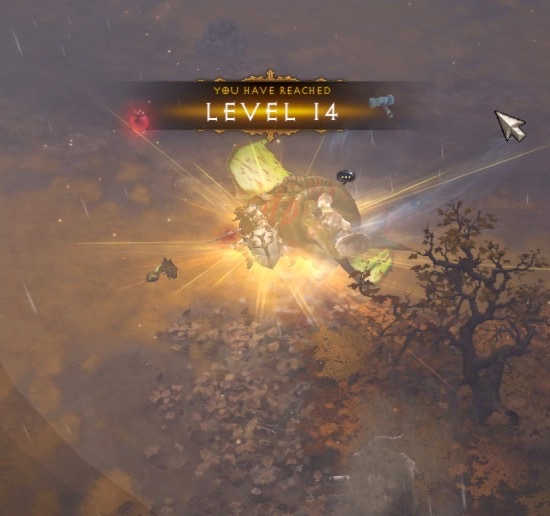 Level 13 was very lucrative! Bless You: Get the following benefits from shrines. Shortly after that, Joan the Crusader hit Level 14. By now, I’d played enough of the beta to realize that it was way more fun than the original Diablo III. There were plenty of monsters to kill, gold to find, and Achievements to be earned. It was moving along at a nice, fast pace. At the time, I was thinking that going back to Diablo III after the RoS beta ended, and waiting for the expansion to be released was going to be painful!